When photography first began in 1839, cameras began to accompany explorers on their travels. However, at this time, technology had not yet reached a point that the images could be used in publications. Instead, skilled illustrators were required to translate these early images. It was not until the 1860s, that the first practical paper photographs were achieved. By the mid-1800’s, around the time of the Civil War, the photographer was buried in his portable dark tent, which consisted of the camera equipment and a portable darkroom. At that time, they processed their photos right on the spot. By the 1870’s, photography had advanced to a point that treated plates could be taken out to the field, exposed, and brought back to a dark room for later processing. In 1884, George Eastman patented the first film in roll form to prove practicable and four years later, in 1888 perfected the Kodak camera, the first camera designed specifically for roll film. Throughout the second half of the 19th Century, as photography was going through a number of technical improvements, many a brave adventurer set out to document the events, people, and scenes that made this country grand. Ansel Easton Adams (1902-1984) – An American photographer and environmentalist, he is best known for his black-and-white photographs of the American West, especially in Yosemite National Park. George Grantham Bain (1865-1944) – A New York photographer, he founded the first news photograph service, Bain News in 1898. Born in Chicago, Illinois on January 7, 1865 to George Bain and Clara Mather, the family soon moved to St. Louis, Missouri where George grew up. While attending the St. Louis University and studying chemistry, he learned the basics of photography, including developing prints on a windowsill with direct sunlight. He graduated with a law degree in 1883 and joined the staff of St. Louis’ Globe-Democrat as a reporter and moved over to the Post-Dispatch a year later. The Post-Dispatch soon sent him to Washington, D.C., as its bureau correspondent. 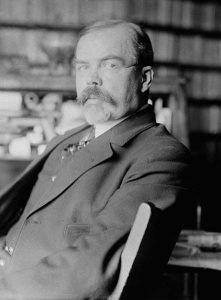 Bain later went to work for the United Press and in 1898 founded the first news photography service in the United States – Bain News Service. A visionary who saw the potential of coupling photographs with words in newspapers and magazines, his news photo service focused on both people and events, from politics to sports, from disasters to celebrations. The Bain News Service accumulated photographs of worldwide coverage which were distributed to various newspapers and was enhanced by receiving local pictures from its subscribers as part of their reimbursement. By 1905 he had reputedly amassed one million photographs. The building that he operated in was swept by fire in 1908, destroying all the photos he had accumulated, but he started over, and, by pooling photographs produced by a variety of sources, he created another centralized repository of images. 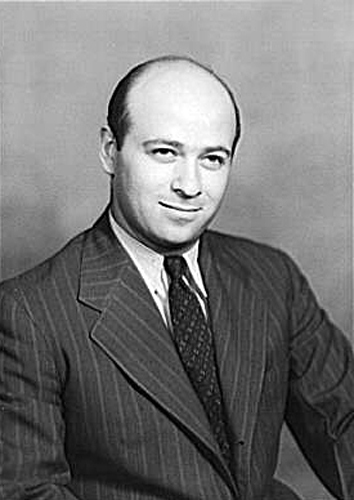 Bain died in Manhattan, New York on April 20, 1944. Today, the vast majority of his photographic collection survives at the Library of Congress including some 40,000 glass plate negatives and 50,000 photographic prints. The bulk of the collection dates from the 1910s to the mid-1920’s, but scattered images can be found as early as the 1890’s and as late as the 1930’s. The range of subjects includes: celebrities, parades, sports events, immigration, political events, aviation, World War I, and the Mexican Revolution. Mathew B. Brady (1822-1896) – One of the most celebrated 19th century American photographers, he is best known for his photographs of celebrities and his documentation of the Civil War. He is credited with being the father of photojournalism. 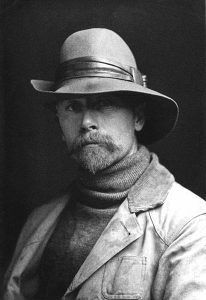 Edward Sheriff Curtis (1868-1952) – A photographer of the American West, he is best known for his many images of Native Americans. See Full Article HERE. Jack Delano (1914-1997) – Working for the Farm Security Administration (FSA), Delano was also a composer noted for his use of Puerto Rican folk material. Born as Jacob Ovcharov in Voroshilovka, Ukraine on August 1, 1914, he immigrated with his parents and younger brother to the United States in 1923. Between 1924 and 1932 he studied graphic arts/photography and music at the Settlement Music School in Philadelphia, Pennsylvania. After being awarded an art scholarship for his talents, he attended the Pennsylvania Academy of the Fine Arts, where, from 1928 until 1932, he studied illustration and continued his musical training. After graduating, he sent sample pictures and applied for a job to Roy Stryker, the head of the Farm Security Administration (FSA). Photography program. Hired on at a salary of $2,300/year, Delano moved to Washington, D.C. Sent all over the United States and to Puerto Rico, Delano took thousands of photographs for the FSA . In 1943, the FSA was eliminated and its tasks were taken over by the Office of War Information. Delano followed Styker to the new division. In 1946, he and his wife returned to Puerto Rico, where they settled permanently. There, he ran Puerto Rican Educational Television, taught music, composed music, and made films. He died on August 12, 1997.